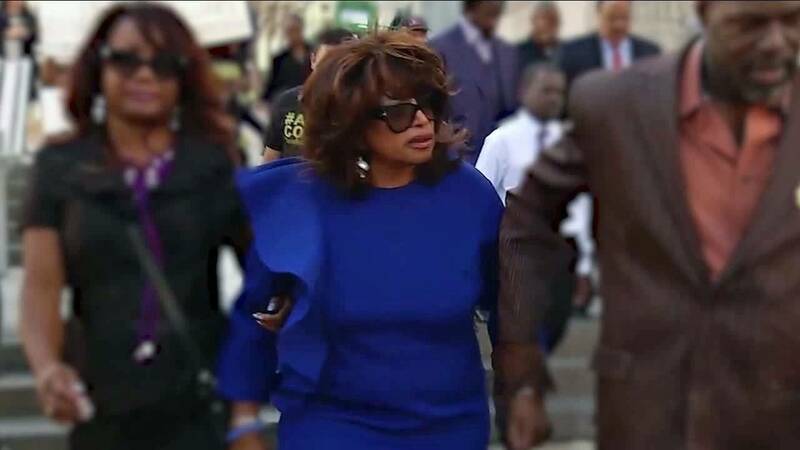 JACKSONVILLE, Fla. - A federal appeals court has rescheduled a hearing in a challenge filed by former Congresswoman Corrine Brown after she was convicted in a charity scam. The 11th U.S. Circuit Court of Appeals last week scheduled the arguments on Feb. 1 in Atlanta, according to an online docket. The court had earlier indicated it would hear the case in December but scrapped that schedule. Brown, 72, filed an appeal after she was convicted last year on 18 felony counts and sentenced to five years in prison. A former 12-term Democratic congresswoman from Jacksonville, Brown was convicted on fraud and tax charges related to her role in using contributions to the One Door for Education charity for personal expenses and events. In the appeal, Brown contends that a juror was improperly dismissed from her trial. The dismissal came after the juror made statements such as the “Holy Ghost” told him Brown was not guilty. Prosecutors, however, argue a district judge acted properly in replacing the juror with an alternate and disputed that the decision violated religious rights. Brown, who lost a re-election bid in 2016, is an inmate at the Coleman federal prison in Sumter County, according to the Federal Bureau of Prisons.